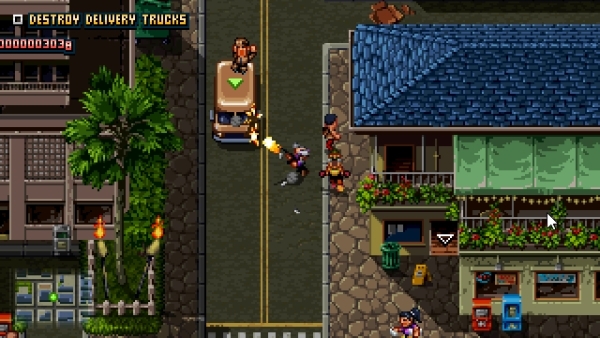 Shakedown: Hawaii will launch for PlayStation 4, Switch, PS Vita, 3DS, and PC via Steam in Q1 2019, developer Vblank Entertainment announced. A newly released gameplay trailer reveals the game’s the world, story, empire building, characters, and customization. Online shopping killed his retail stores, ride sharing his taxi business, and streaming his video stores. His company’s stuck in the past, and so is he! To save the company, he’ll need to learn the methods of modern business, and use them to rebuild his empire. 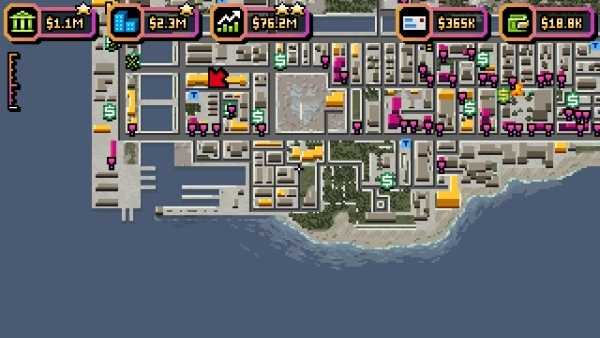 The entire island is up for grabs… or at least, could be with the right business model. 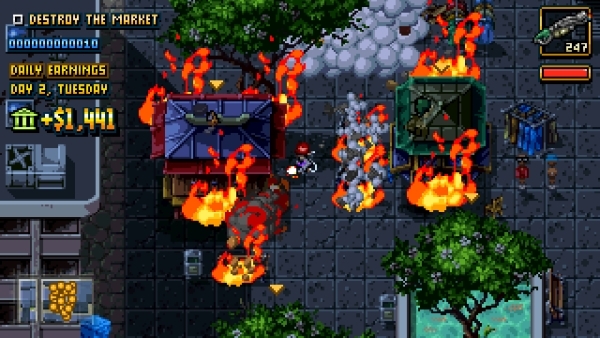 Shakedown: Hawaii fuses open world action and empire building. 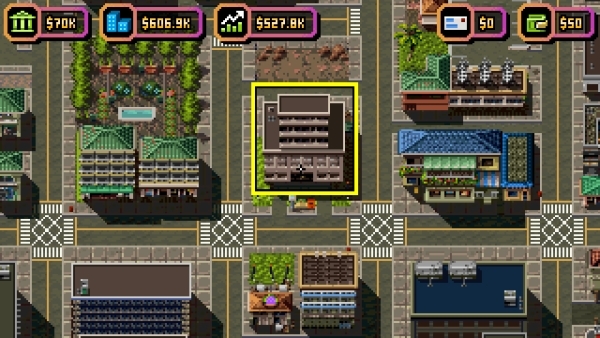 Build a “legitimate” corporation by completing open world missions, acquiring businesses, sabotaging competitors, and “rezoning” land. 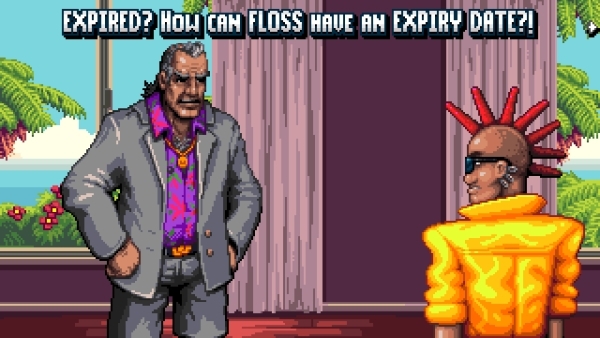 Acquired businesses can be used to generate cash, access more weapons, or gain landlord perks such a free haircuts. Feeling extra greedy? Upgrade your businesses by adding multipliers such as “convenience” fees, unnecessary best before dates, store credit cards, or lobbyists! You can explore the world by foot, by car, or by boat, or go inside the over 200 enterable buildings. It’s filled with stores to shop at (or shoplift from), houses to burgle, civilians to interact with, and secret areas to discover. Swing by the clothing shops, market stalls, or swipe off backyard clotheslines to customize your characters from head to toe. 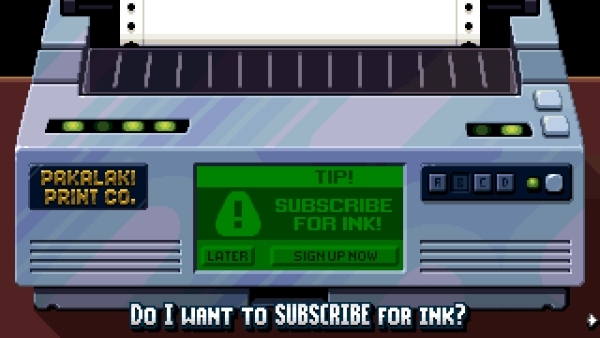 Your shirt, tie, glasses, hat, and even those little pixel “shoes” are all customizable. You can also head to barber shops to change your hair style or add some color. 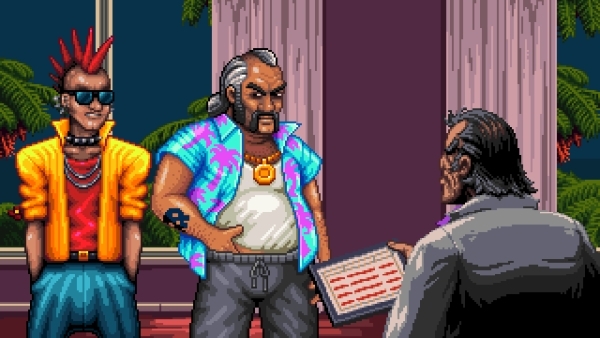 Bald is a choice in Shakedown: Hawaii! It doesn’t end with cosmetics though! 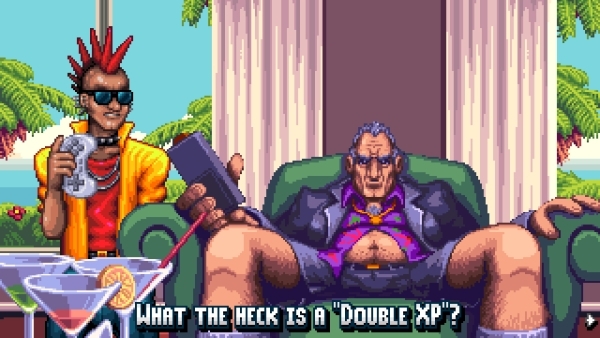 You can equip your characters with double jump by getting a knee replacement, or grab some orthotics to run faster! 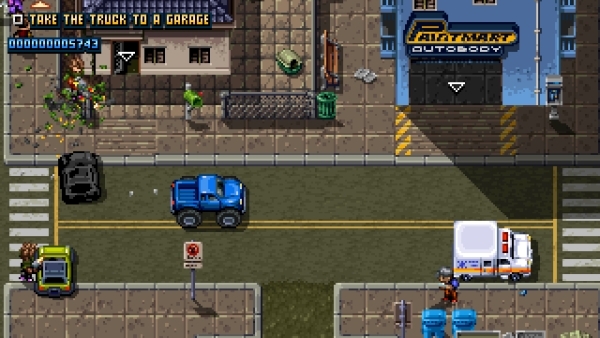 As for vehicles, the city’s loaded with paint shops. Some are fully loaded, while others offer more niche detailing. Vehicles can also be repaired, or upgraded with nitro boost. You can also use parking garages to save your vehicles. 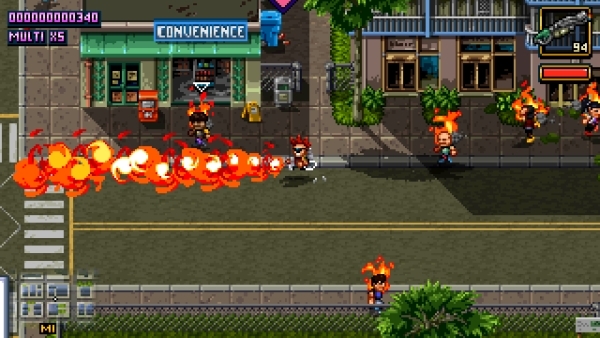 It also includes over 80 stores to shakedown for protection money (essentially micro missions). Found across the entire city, they can be completed in any order. 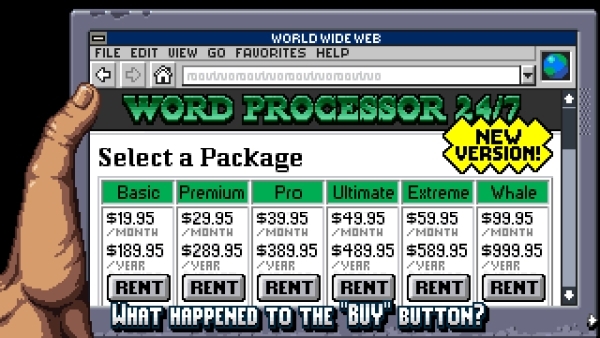 From smashing shelves, to scaring customers, to jacking their delivery trucks, destroying their reputation with flyers, or clogging their toilets with paper towels, you’ll get your protection money one way or another! 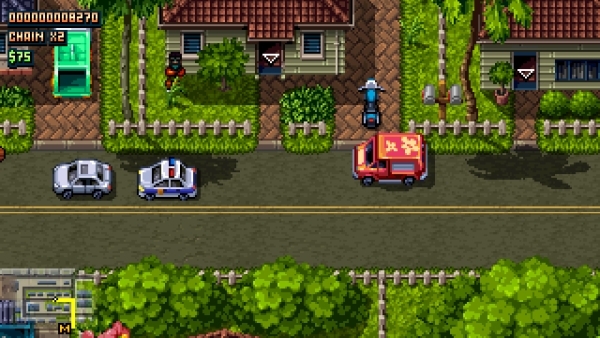 However, some shopkeepers will fight back, or even more dastardly, some are already protected by someone else! You might be walking into a fight, so be ready! The story follows three protagonists. Although there is in-depth character customization, those teaser clips you’ve been seeing were in fact, different characters the whole time. First is the CEO, who you’ve already met! Next, his son, an aspiring DJ in search of “gangsta cred”… and about to get in with the wrong crowd. Third, the CEO’s right hand “consultant”, ready to take care of all the dirty work. The good news is that it’s finally content complete. However, it still has a few months of playtesting, polish, and platform certification left. I’m still heavily punching up the story, balancing the missions, tuning the gameplay, and making sure the jokes land — but rest assured, we’re now in the “coats of paint” stage. Up until now, the release date’s been “when it’s ready” because getting the missions, story and humor just right’s been an organic and unpredictable process of iteration, and I’m still doing everything myself (aside from art and audio — but I even still do a lot of the art!). I’ve been working seven days a week for years, with the aim of “as soon as possible”, but it’s been a massive project to build and every piece takes time. Every missed #screenshotsaturday was another Saturday that I was simply too busy working to spare a moment to whip up a gif. For the past year, I’ve been playing through the game over and over, building spreadsheets, and working to get everything to fit together nicely. 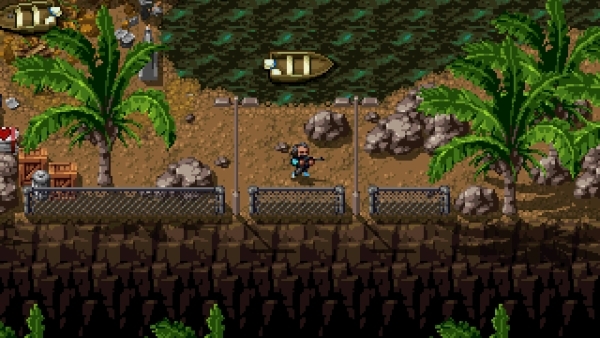 This involved adding lots connective tissue — new cutscenes to bridge subplots, new missions to drive the pacing, and balancing the missions together with the story, the open world, and the empire building, then balancing the different characters and their arcs, and hitting the right tone of the humor. All that said, it’s finally close enough to lock down a release window — it’ll be in your hands Q1 2019. An exact date will be locked down once everything’s wrapped in a bow, and completed each console platform’s certification process. It will be released digitally on Steam, Nintendo Switch, PlayStation 4, PS Vita, and 3DS, and physically on select platforms directly from Vblank, here.